Dharampal Satyapal Group (DS Group) is over US$ 1.5 Billon rapidly growing multi-diversified conglomerate. 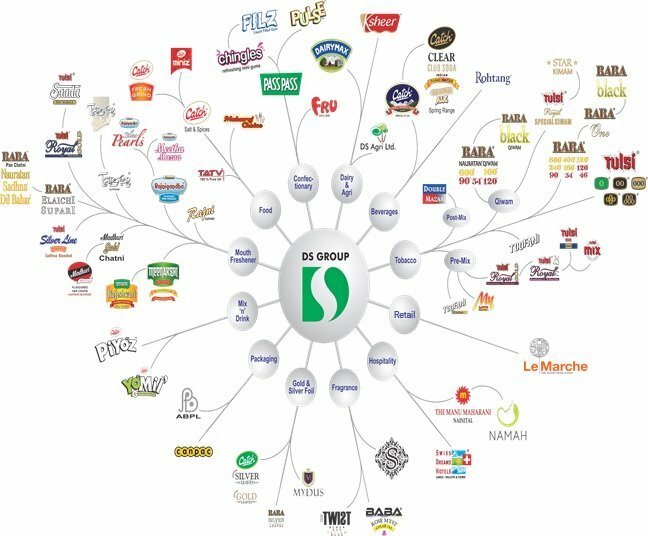 DS Group has a strong presence in sectors such as F&B, Mouth Fresheners, Tobacco, hospitality, Packaging & Agro forestry. The most recent forays have been into the Confectionary, Dairy businesses & Retail. Founded in year 1929, DS Group is committed towards premium quality products & credited with several innovations over last nine decades.